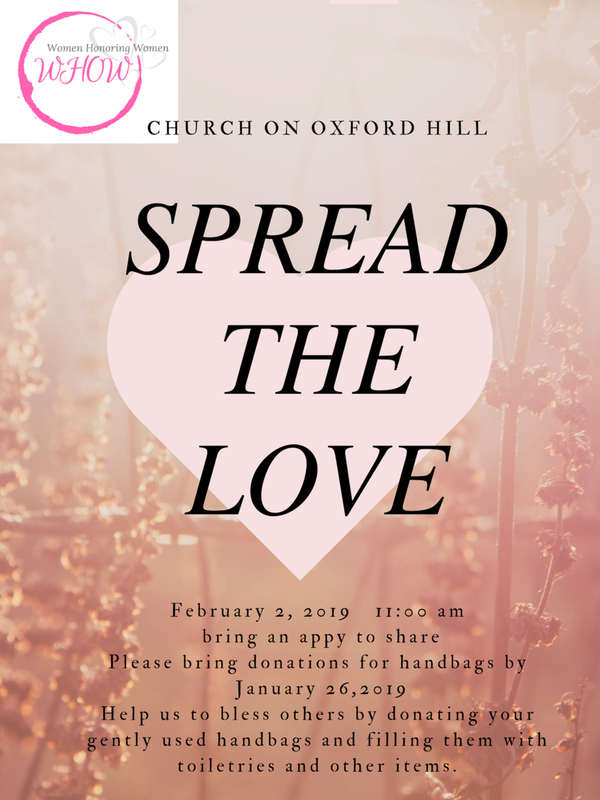 In keeping with the theme of LOVE in February, we are hoping that you would join us for a potluck lunch. We will be filling gently used handbags with feminine products, gently used hats and gloves etc. and we will be making cards with personalized, hand-written blessings that will go into each bag. Please bring donations to church by Jan. 27th or email Andrea(see below) or call 604-401-2704. Thank you in advance, for your willingness to give.